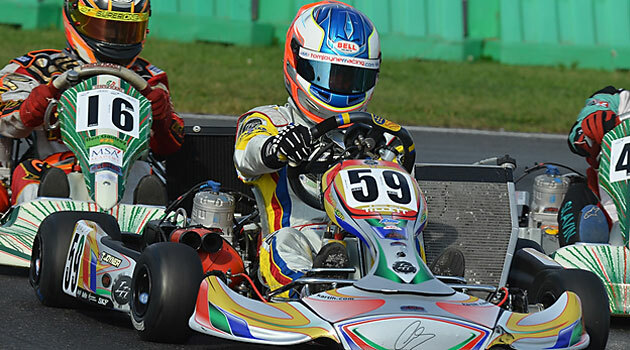 Congratulations to Tom Joyner, who was crowned the 2011 MSA British Karting Champion. He will receive an £8,000 Fiat car for winning the KF2 final at PFI’s newly extended circuit with it’s unique crossover bridge. Joyner was quickest in timed qualifying before taking third, first and fourth in the heats. He led from start to finish ahead of David Sutton and outgoing champion Mark Litchfield whilst Jordan Chamberlain had the terrible misfortune of his engine refusing to start.